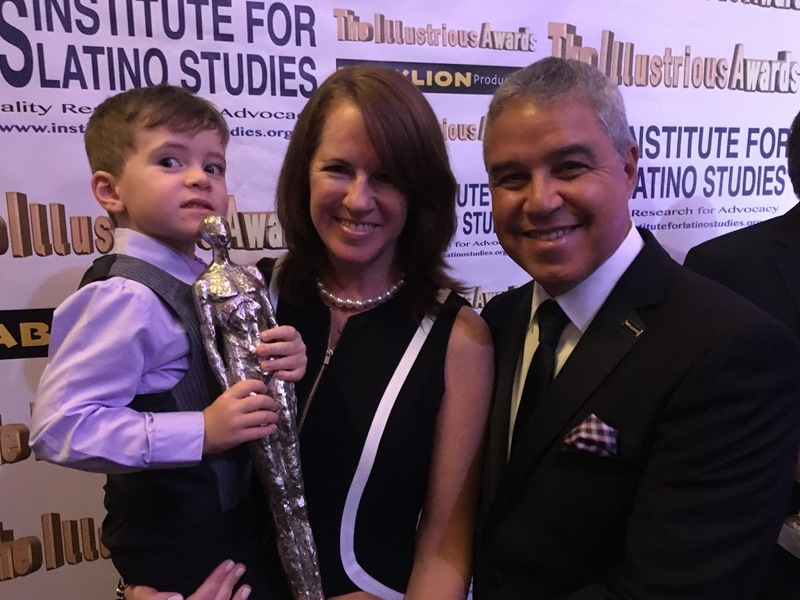 Lucio Fernández, shown at right, were featured in the Héctor Luis Sin Censura blog (written and edited by 2016 HOLA Awards recipient Héctor Luis Rivera, also see below), where it highlighted that Fernández recently received the Illustrious Award from the Institute for Latino Studies at Rutgers University. To read the blog, which is in Spanish, click here. Kathy Tejada and 2016 HOLA Awards recipient A.B. Lugo are co-starring in Elena Garro's Un hogar sólido. 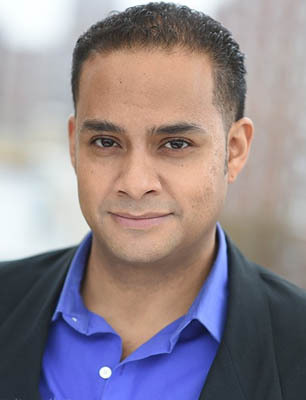 Directed by 2016 HOLA Awards recipient Héctor Luis Rivera (also see above), the TEBA production will take place in October at the Broadway Blackbox Theater, located in Manhattan's Washington Heights neighborhood. 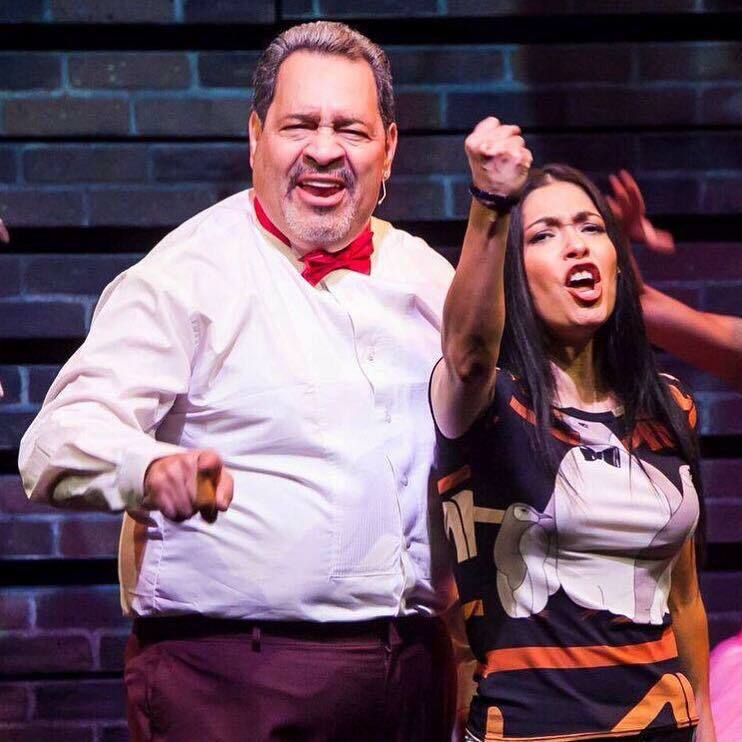 Caridad de la Luz (also known by her nom de poésie et de musique La Bruja), shown at right, in character, with Tito Nieves, in the photo at left, was featured in a photo flash article on Broadway World, as a result of her co-starring role in the Pregones-PRTT musical production I Like It Like That. A jukebox musical of classic salsa tunes from the 1970s and 1980s (with additional original songs by musical director Desmar Guevara and others), the book is written by director Waddys Jáquez and David Maldonado. The musical is currently running at the Puerto Rican Traveling Theater, located in the theater district of midtown Manhattan. To read the article, click here. Gualterio Alomar, through the Organization for Culture of Hispanic Origins (OCHO), is presenting an evening of art, literature, film and Hispanic culture. The evening will feature writer Jonathan Marcantoni with special guests Johanna Tolentino, Orlando Ferrand, and Nelson Antonio Denis, and a sneak preview of a new documentary. The event will take place Friday, September 30, 2016 at The Center, located in Manhattan's West Village. For more information, click here. Iliana Guibert, shown at right holding her award, is starring in the film Twice Upon A Time. Written by Guibert (who also executive produced) and directed by Paul Borghese, the short film, inspired by true events, is hitting the film festival circuit, winning awards along the way. 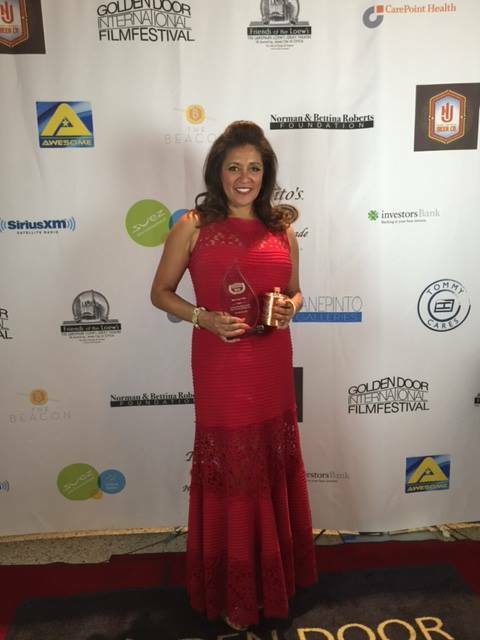 The film won Best Local Film at the Golden Door International Film Festival of Jersey City, where it screened in September in Jersey City, New Jersey. 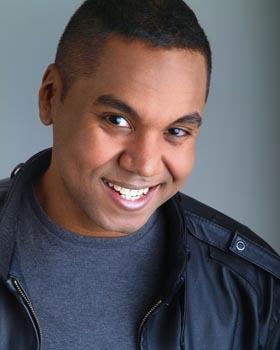 Elizardi Castro, shown at left, recently performed standup comedy sets at Comic Strip Live in New York City and Carmine's Comedy Club in Poughkeepsie, New York. 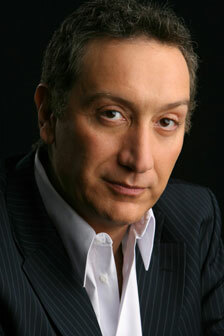 For more information about his personal appearances, click here. Lucio Fernández, shown at left, in the photo at right, with his wife Megan Fernández and their son, had a fantastic birthday when, on that day (Saturday, September 24, 2016), he received the prestigious Illustrious Award from the Institute for Latino Studies at Rutgers University, the State University of New Jersey (the alma mater of Fernández, also see below). In addition, both he and his wife, Megan Fernández, associate produced Chosun Opera Company's performance of Seonbi (conducted by Jahye Kim) on Sunday, September 25, 2016 at New York's world renowned Carnegie Hall. 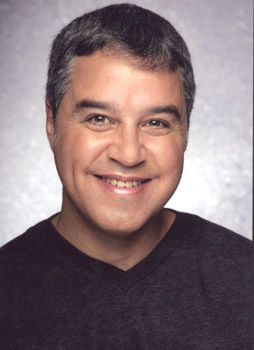 Basil Rojas is directing Cindy Lou Johnson's play The Years. The production (by Sleeping Satellites Productions and Brazen Acorn Productions) will star Xandra Leigh Parker, Jesse Corbin, Tamra Paselk, Christina Moran, Jan Kutrzeba, and Jonathan Demar and will take place in October at the 4th Street Theater, located in Manhattan's East Village. For more information, click here and here. 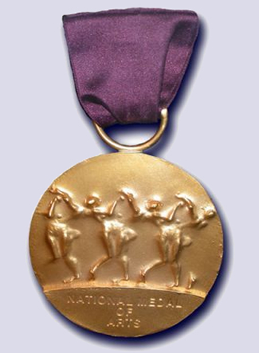 President Barack H. Obama presented the 2016 National Medals of Arts and Humanities on Thursday, September 22, 2016, in the morning in an East Room ceremony at the White House in Washington, District of Columbia. Latinos/Hispanics who were awarded the 2015 National Medal of Humanities include author Rodolfo Anaya and chef/entrepreneur José Andrés. For more information, or to see the full list, click here. Latinos/Hispanics who were awarded the 2015 National Medal of Arts include writer Sandra Cisneros; musician Santiago Jiménez, Jr.; playwright/director/producer (and HOLA Awards honoree) Moisés Kaufman, shown at left; playwright/actor/writer/director Luis Valdez. For more information, or to see the full list, click here. To see the medal ceremony, click on the video below. 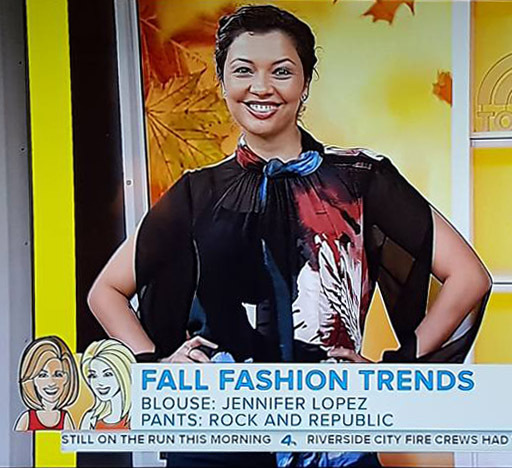 Cynthia Bastidas, shown at left, above, modeled clothing from Jennifer López and Rock and Republic on the fourth hour of NBC's "Today" (hosted by Kathie Lee Gifford and Hoda Kotb). 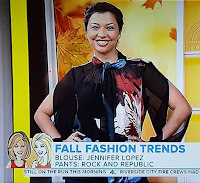 Johanna Tolentino, shown at right, above, booked a guest-starring role on "The Blacklist" (NBC). 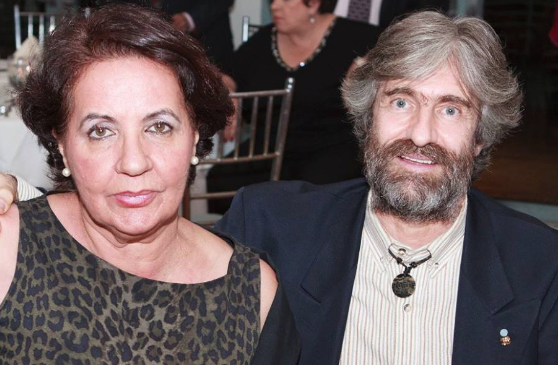 Alicia Kaplan and 2016 HOLA Awards recipient Alfonso Rey were both featured in separate articles in the New York weekly newspaper Impacto Latin News, where the former was highlighted for her recent tour of Colombia with the Danisarte production of Soliluna (created and directed by Kaplan) and the latter was lauded for his recent win of the Monologando Contando Ando festival for the solo show #Popular (written by Marcos Purroy and directed by Rey). To read the articles, which are in Spanish, click on the image at above right. 2016 HOLA Awards recipients Soraya Padrao and Mônica Steuer, shown above, left to right, co-starred in the film Cassanova Was A Woman (written by Jezabel Montero and directed by Kevin Arbouet). The feature film, which stars Montero, Margo Singaliese and Paolo Andino, is available for pre-order via iTunes. To order, click here (if in the USA) or here (if in Canada). For more information on the film, click here. Gilbert Cruz is co-starring in Betty Shamieh's play Fit For A Queen. Directed by Tamilla Woodward, the Classical Theatre Company world premiere production is taking place in October at 3LD Art & Technology Center in Manhattan's Tribeca neighborhood. For more information about the production, click here. Patrick Michael Valley, shown at left, is co-starring in the short film Sasha (written and directed by Dana Schoenfeld, who also stars in the film). 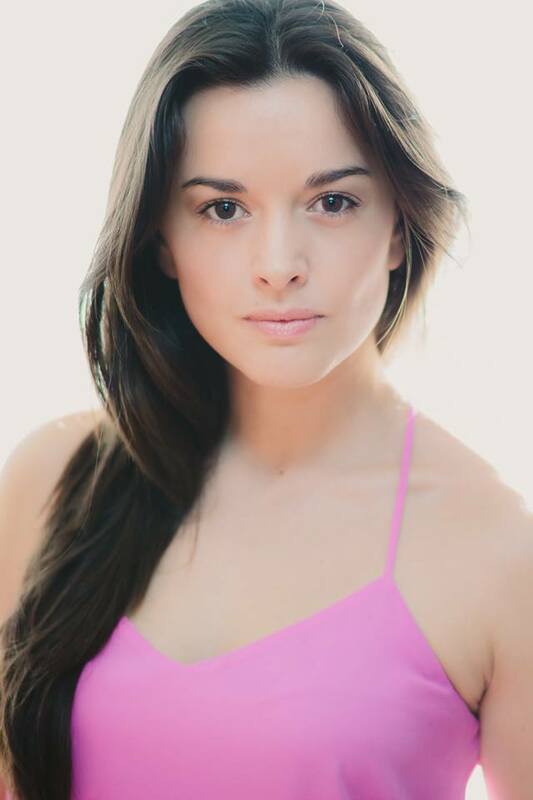 Rénoly Santiago is directing Mathilde Dehaye's Free Your Mind, Free Yourself. The double bill of one-act plays (Prejudice and Ride) will take place in September and October at the Producers' Club Theatre, located in thetheater district of midtown Manhattan. The production stars Dehaye, 2016 HOLA Awards recipient Úrsula Tinoco, Fiona Robert Kapacinskas and Reza Salazar. For more information, click here. 2016 HOLA Awards recipient Jeannie Sol, shown at right, will be performing on a double bill with entertainer Harmonica Sunbeam on Thursday, September 29, 2016 at Club Feathers in River Edge, New Jersey. Hernando Caicedo is co-starring in the short film Illegal Mezcal (written and directed by Stephanie Gardner), which just wrapped up principal photography. 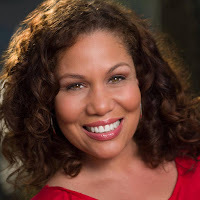 Rénoly Santiago co-starred in an episode of "Difficult People" (Hulu). Vanessa Verduga just released the music video for "Owner of My Heart", the leadoff single off her debut album Soy Mujer. To see the video, click below.